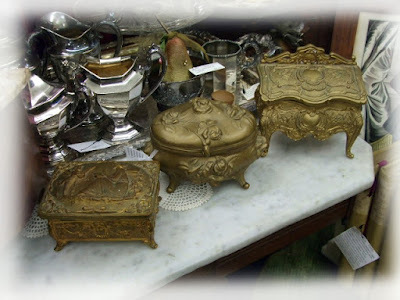 14 days of treasure hunting fun. Yes, I'm still on the hunt for a primitive cupboard and the old axiom still stands...when you are looking for something, it hides itself away. 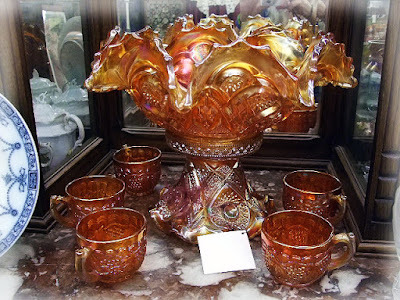 Still, I can't really complain because I have been visiting new and old shops these past two weeks in search of that illusive cupboard and have found marvelous pieces along the way. Made a trip to one of my favorite "Primitive" dealers who moved to her new digs in Buford, Georgia..."Further Down the Rabbit Hole." This shop is filled with beautiful American primitives, old and new, and a mix of really nifty items of interest. Another find from a favorite spot but still no cupboard. 1925 print by the artist, R. Atkinson Fox (1860-1935) and known as "Love's Paradise”, it shows a mother holding her baby in a fantasy setting. At the lower left is "© 1925 Borin Chicago” and at the lower right is "Fox - Urgelles.” In the original, two tone wood frame, this marvelous print is in great condition and a nice addition to a R.A. Fox collection. 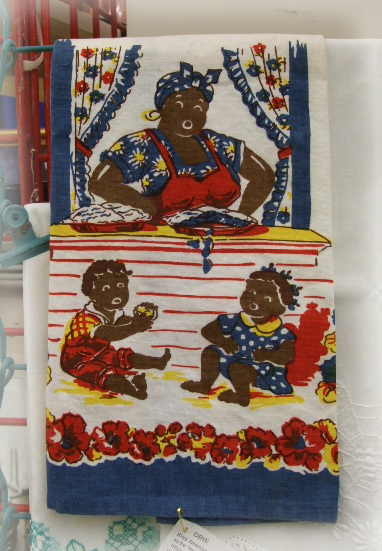 Be still my heart, how I adore textiles. 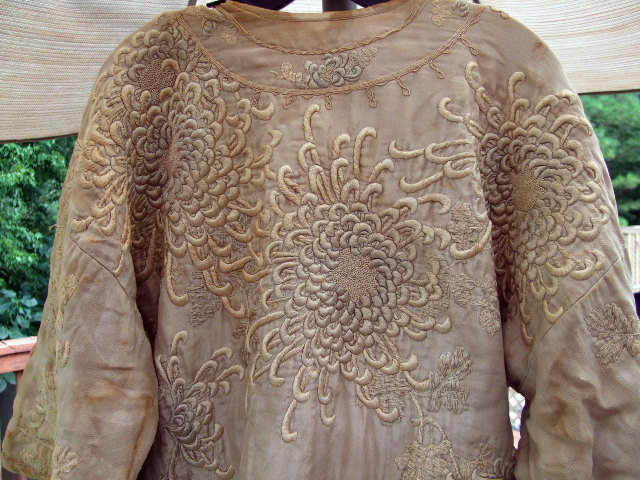 Gorgeous Japanese coat is heavily embroidered stump work. 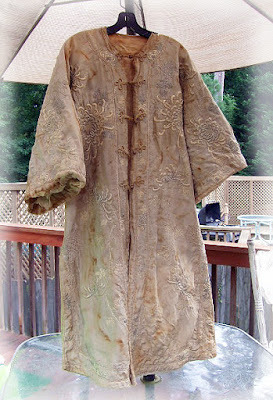 Original silk lining has shredded away and it is covered in age stains, but I think it is extraordinary. 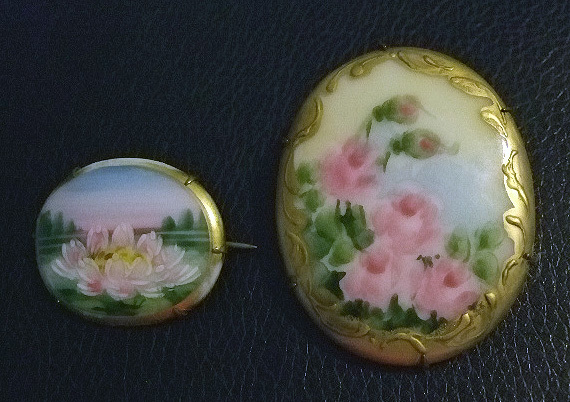 Photo of the back, it is filled with the beloved flower, the Chrysanthemum, or Kiku in Japanese, a symbol that represents longevity and rejuvenation. The color white, and especially a white Chrysanthemum, is worn for funerals, so this lovely coat may be a funeral piece worn to honor the deceased. 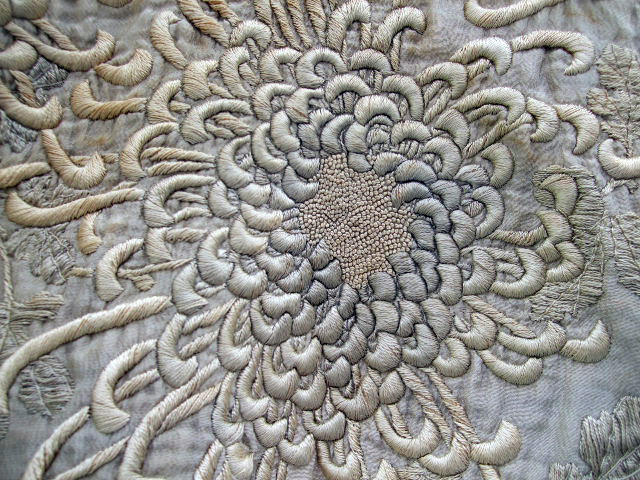 Close up of embroidery. Gorgeous. A Goodwill find, this was a single stack of little plates tapped together for a single price. Three vintage transferware pieces, a wedgwood ashtray, a nippon piece and 6 gold and white butter pats. 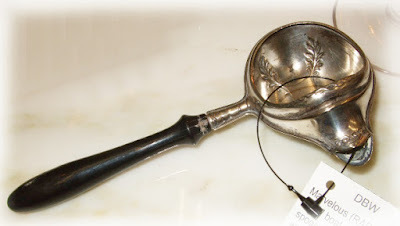 One of the coolest items I have found in the last few years, a marvelous (RARE) Victorian, left handed “Pap” boat, baby/invalid feeder, medicine spoon. Pure silver, no marks, pat. pend., with black, wooden handle. Heavily repoussed, this is a unique medical tool that is rarely seen anymore. 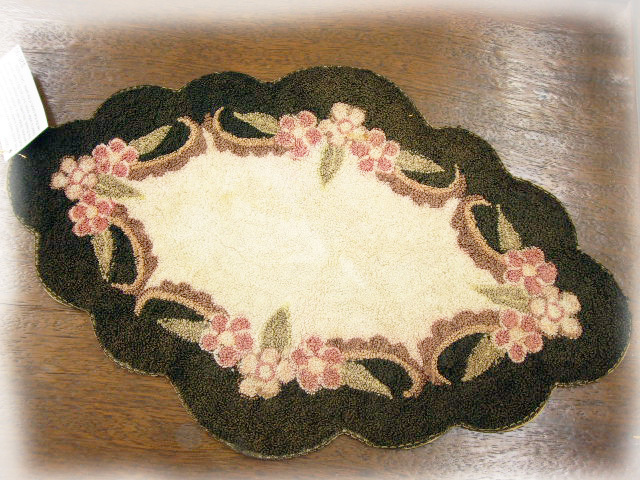 Circa 1860-90s. 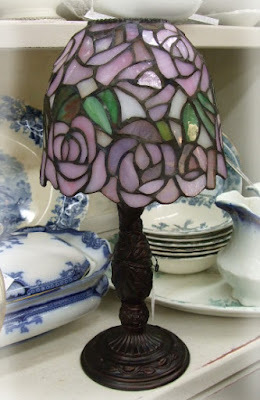 Bring the romantic light of a Tiffany lamp to your deck, patio, porch or favorite outside living space with this lovely stained glass lamp that is brought to life with candlelight. 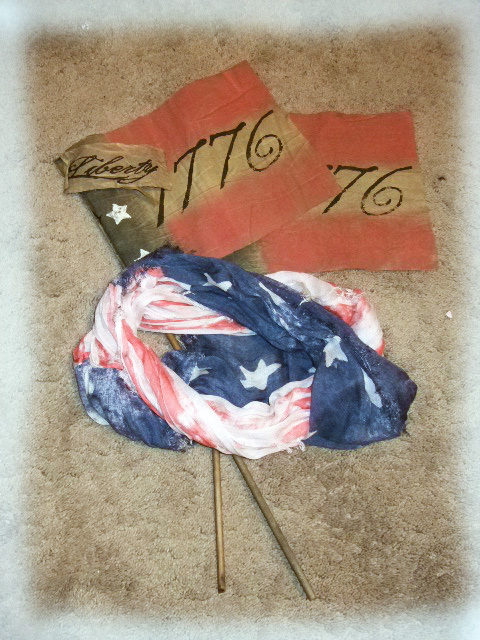 Love it when I find these at my local thrift stores. 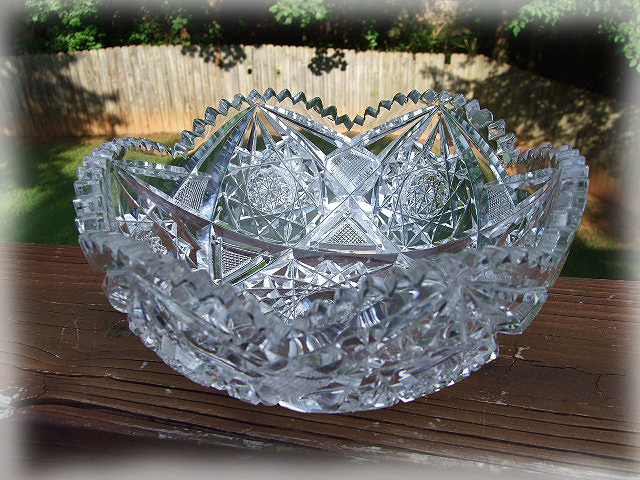 What marvelous pies, cakes and cookies were mixed in these bowls? 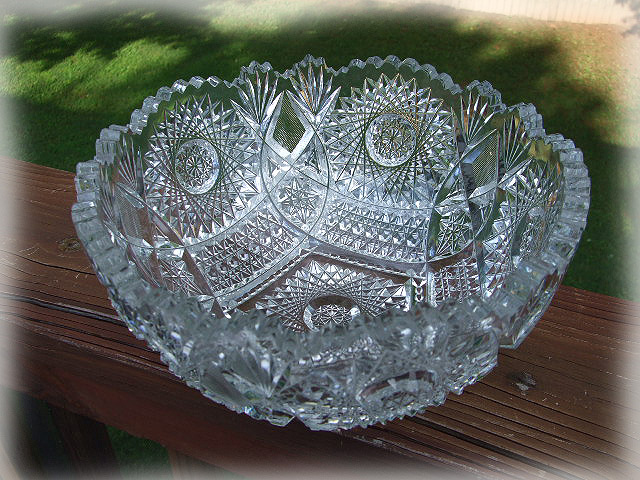 Heavy, McCoy mixing bowls (often nested) were found in nearly every home in America in the 1930s. 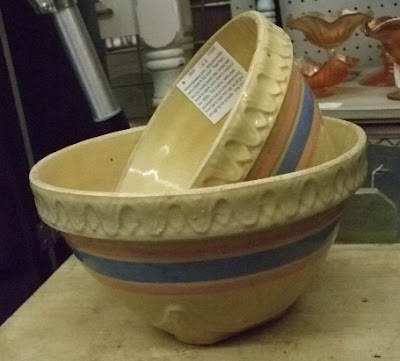 Yellow ware, stoneware blue and pink banded mixing bowls each have a long crack from age but still good enough to mix up batter. 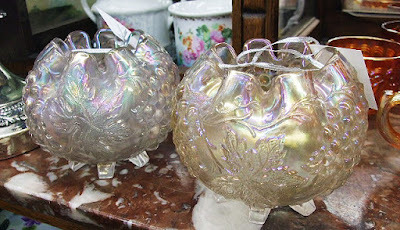 I found these at a great price so I am passing them on at a screaming price in my main space at the Buford Queen of Hearts Antiques & Interiors. 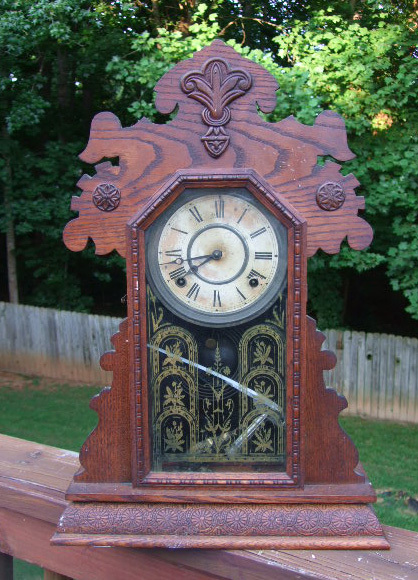 And finally, another antique kitchen mantle clock jumped into my arms. I just can't resist time pieces and when the price is right I dance all the way to the check out counter. No, really, I do!!! Greetings, dear readers. It has been a busy, busy, did I say, busy last few weeks. Forget that my job has been blowing up all over the place (end of fiscal year stuff...sadly this is normal) got rear ended in a local shopping center and now have a bashed in bumper, needed new tires and my favorite auction house has been sold to new owners. In between all of this I was fortunate to find some great treasure and I'm gonna need it to pay for the tires and the new bumper I ordered. The last auction was bittersweet. I will miss my friends but wish them so much happiness as they retire and move to Naples, Florida. I already miss them. 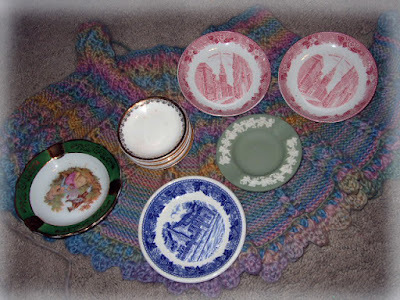 Now on to items that I have won at the past two auctions and a few local shops. 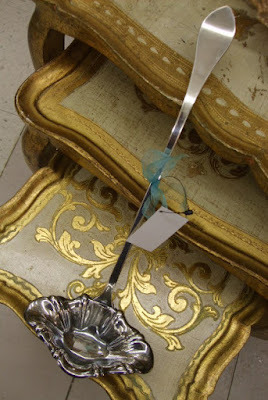 Gorgeous pair of cast iron mirrors. 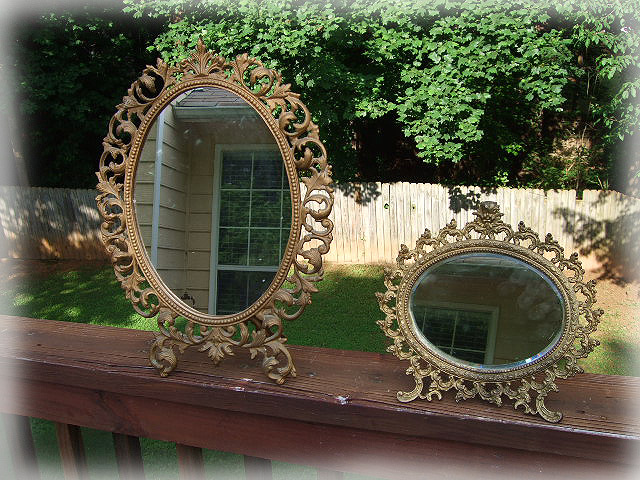 One is huge and the smaller has heavy architectural mirror glass. I've kept the smaller one but have the large in my space at the Buford Queen of Hearts. These crystal knife rests were found in the bottom of a box that contained vintage character mugs. 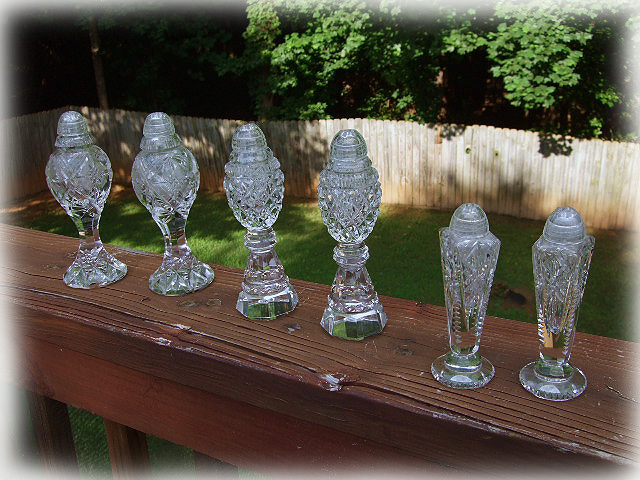 Three sets of cut crystal, vintage salt and peps. Wouldn't it be fun to use these as chess pieces? What a magnificent set it would be. 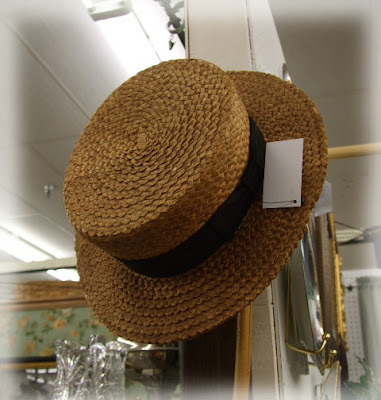 Love these antique straw boaters that men wore during the turn of the century through the 1930s. 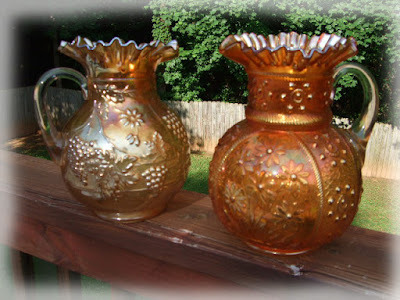 Pair of gorgeous, early Carnival glass pitchers. These beauties are rich with lustre. 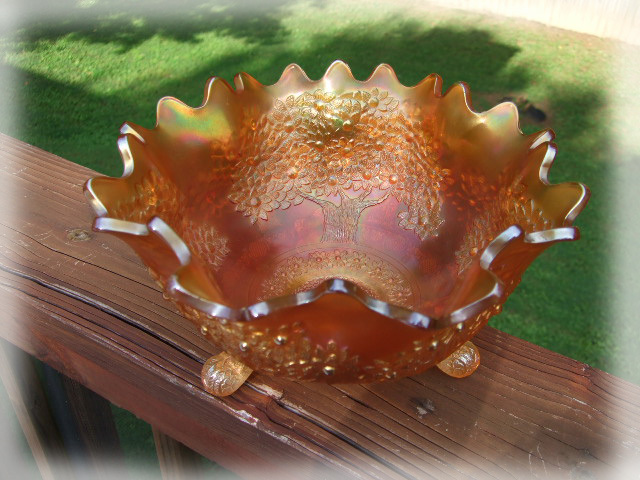 Another lovely piece of vintage carnival--Marigold Orange Blossom. 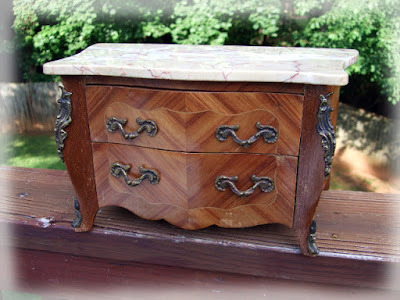 I was fortunate to win some fantastic pieces, all are finding their way into my spaces at the Buford Queen of Hearts. And now the crown jewel in what I won. Stunning Imperial Glass, carnival glass punch bowl set. Pattern: Fashion. This is a sought after early, punch bowl and stand. Brilliant lustre, color: Marigold. Pair of spectrum, rainbow throwing American Brilliant, cut crystal bowls. Large and beautiful. Lovely antique expansion bracelet with engraved MAW initials. 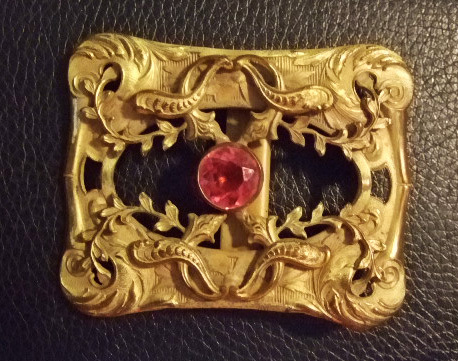 Rolled gold with tiny rhinestones around center locket. Will hold two images. Stretches to fit an average wrist size comfortably, In excellent condition with minor issues from age. Circa 1880s. 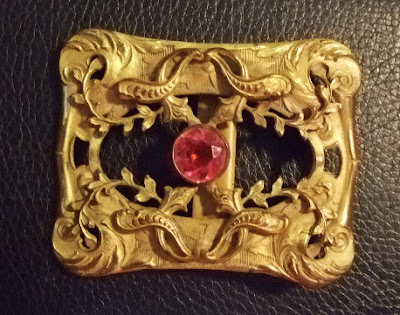 Lovely Edwardian sash buckle in stylized Art Nouveau form. A versatile piece that can be worn as a buckle or thread a silk scarf through it, add to a hat or purse or hang from ribbon for a necklace. Circa 1900s. Sweet little micro mosaic heart pin with pretty little blue, forget me nots in the center. Safety chain with 10K gold pin. 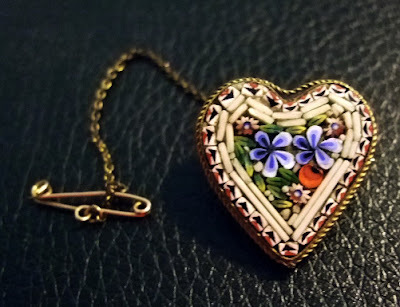 Popular souvenir item purchased by travelers to Italy at the turn of the century. Circa 1900s. 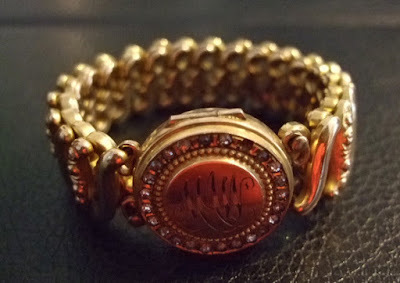 A kiss on the hand may be quite continental, but diamonds are a girl’s best friend…Fabulous vintage rhinestone bracelet. You will be channeling Marilyn Monroe when you wear this sparkler. 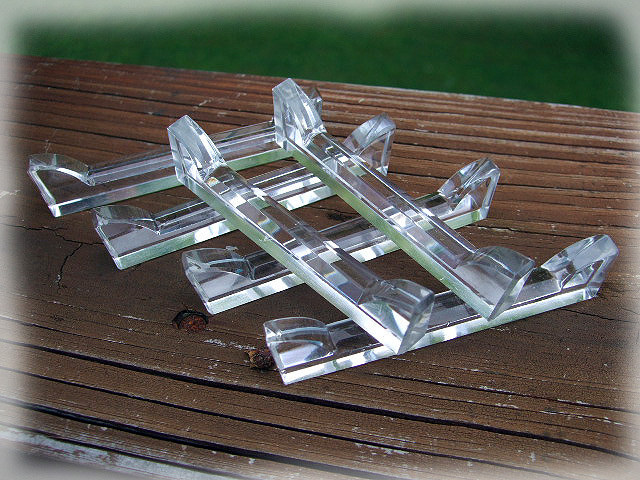 All rhinestones are set not glued and base metal is finished in bright rhodium finish with a safety chain. No hallmark. Circa: 1950s. The “Cadillac” of antique piano scarves. This tone on tone cream color, hand embroidered silk thread on silk fabric is a stunner. 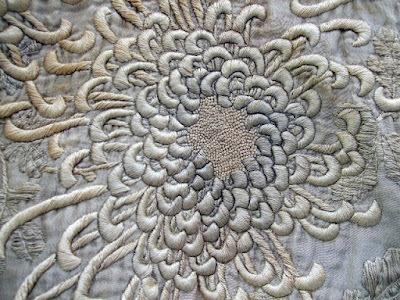 But the crown in this jewel is the hand knotting of the long silk fringe. It just doesn’t get any better than this. Circa: Flapper era – bootlegs, bathtub gin and speakeasies – 1920s. 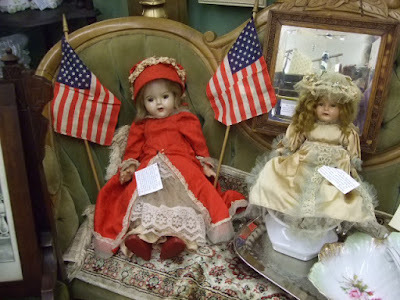 Pair of early 20th century composition dolls. The lady in red is a 1937 Princess Elizabeth doll and the smaller is an Effenbee. 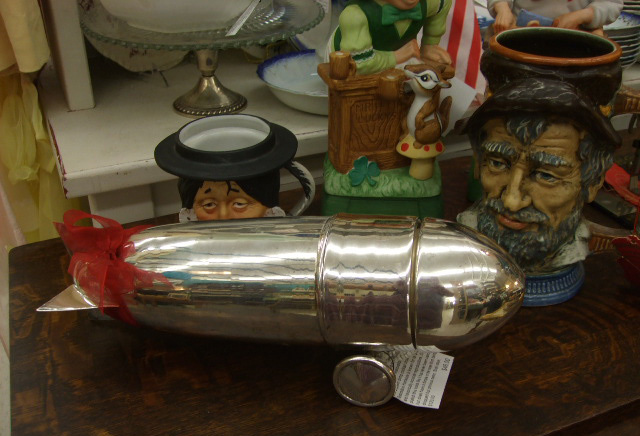 Get red, white and bombed with this fantastic and very well made Restoration Hardware, Art Deco Zeppelin blimp cocktail shaker. Restoration Hardware is known for its quality and historically accurate reproductions. 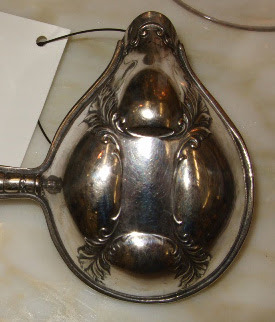 Silver plated this looks like it has never been used, but does have a dimple in the nose from being dropped but previous owner. 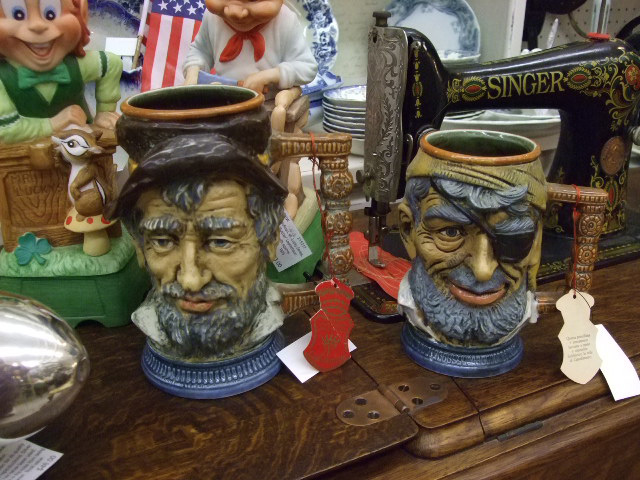 Pair of vintage 1970's Vietata Italian Sea Captain and Pirate, Capodimonte Character Mugs. Hand Painted Stein with original tag. And finally, this lovely Venis Martin, Louis XV display cabinet with curved glass and ormolu accents. 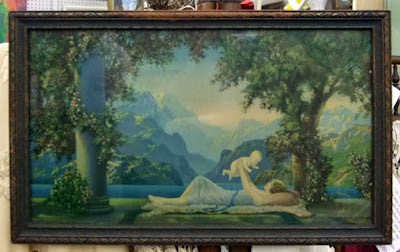 This belonged to my friend, who sold the auction house. She housed several of her incredible Dresden figurines in it but decided not to take it with her to Florida. This and other of their personal pieces were on the auction block and I was delighted to win this lovely cabinet. 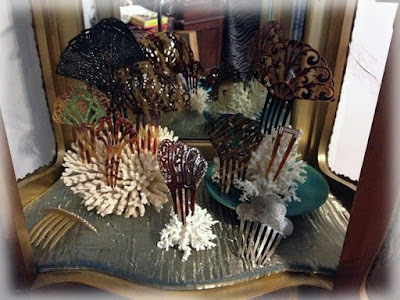 It now holds my antique hair combs and hat pins along with fragile corals and sea shells, but more importantly, it brings me joy to see my friend in this piece and is a gentle reminder of our friendship.